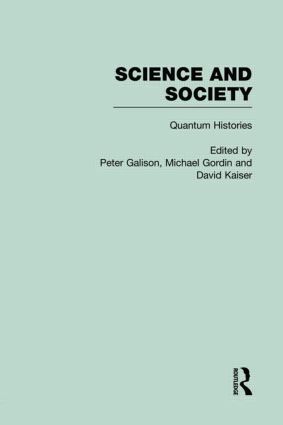 Peter Galison is Professor of the History of Science at Harvard University and a premier authority in the field. In 1997, he was named a John D. and Catherine T. MacArthur Foundation Fellow; in 1999, he was a winner of the Max Planck Prize given by the Max Planck Gesellschaft and Humboldt Stiftung. His is author of numerous works, including, most recently, Picturing Science, Producing Art (Routledge, 1998) and The Architecture of Science (MIT, 1999). Michael Gordin and David Kaiser are both at Massachusetts Institute of Technology.